Wake up every morning and enjoy mealtime with IMB’s breakfast products. 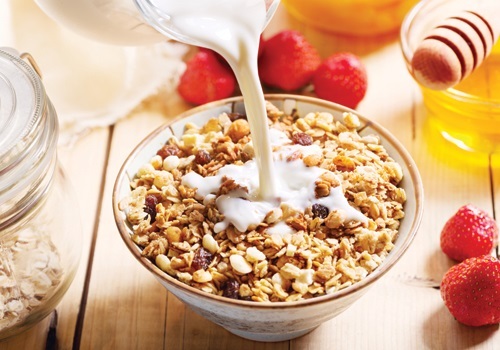 IMB’s Granola and Muesli formulas are formulated for a wide variety of custom applications. Mixtures of grains, superfoods, dried fruits, chocolate, and nuts available in standard formulas and custom formulas. Don’t miss the pleasure of completing these morning energizers with pancakes matched with IMB’s thick and naturally sweetened maple syrup. Pancake/waffle syrups including original, butter flavor, lite, and sugar free.